Clay mitt works fast and achieves professional results with the new advanced polymerized rubber technology, the next generation of surface preparation. 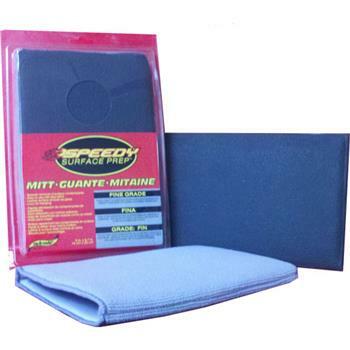 Quickly, easily and safely removes paint over spray, rail dust, brake dust, industrial pollution and other bonded contaminants from the surface of automotive paint, glass, moldings and plastics. Easily cleaned by simply rinsing with water. Drop the mitt? No worries; simply rinse with water and you’re ready to keep using.